Are you wondering how to pay off your mortgage before the retirement date? If you can succeed financial benefits may be very satisfying. Make a plan and stick to it. Here are few ways to do that. Add few extra dollars to your payment each month. Your monthly payment includes interest and principal. Interest is the highest portion during the initial period. By adding few extra dollars each month not only you are saving money on interest but also you are speeding up the repayment of your mortgage. Use your tax refund to make an extra payment. Many of us get a tax refund and usually spend that on a new car or furniture. If you use some or all of your tax refund to make an extra payment, it speeds up the repayment of the mortgage, extra payment goes to pay down the principal and reduce your total mortgage interest. Use a credit card to pay off your mortgage. There are credit cards that accumulate points that you can use towards your mortgage payments. 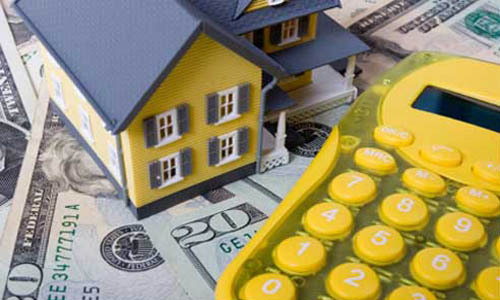 Sometimes it pays to split your mortgage payment. Instead of making once a month payment, you can reduce your interest by splitting the payment in half and making bi-monthly payments. But be aware of hidden fees. This entry was posted in Real Estate and tagged hoem mortgage, real estate. Bookmark the permalink.